Reading worksheet for extensive reading of the famous short story by Roahl Dahl that you can find on the internet or in the book . 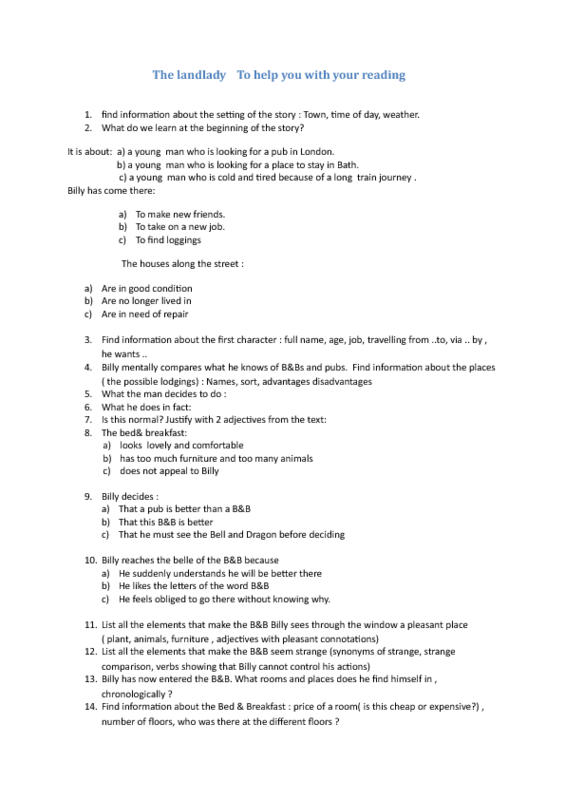 Grammar exercise about tenses revision + 2 writing tasks . This can be given in class or as a homework . The story is a bit creepy , but usually students like it .